Kathmandu Valley is filled with Kathmandu hotels, resorts, lodges & guest-houses. Even during a busy peak season you will find a room. You’ll find the best bargains by simply walking into hotels along the streets as many are not listed online. Kathmandu city is quite large and spreads out into the surrounding valley. There are however certain districts that are well known tourist hubs within the city. Kathmandu city offers a wide range of accommodation in abundance. From high-end resorts all the way to hostel style dorm rooms. However the best range of accommodation lies within the budget and mid-range options. If you’re searching for the perfect hotel in Kathmandu, our hotel listings is a great place to start. Browse our hotel features with information on 2 star, 3 star, 4 star and 5 star hotels, room price range and location. Hotel Vaishali offers the finest choice in deluxe accommodation: 93 luxurious guest rooms, including 8 suites. 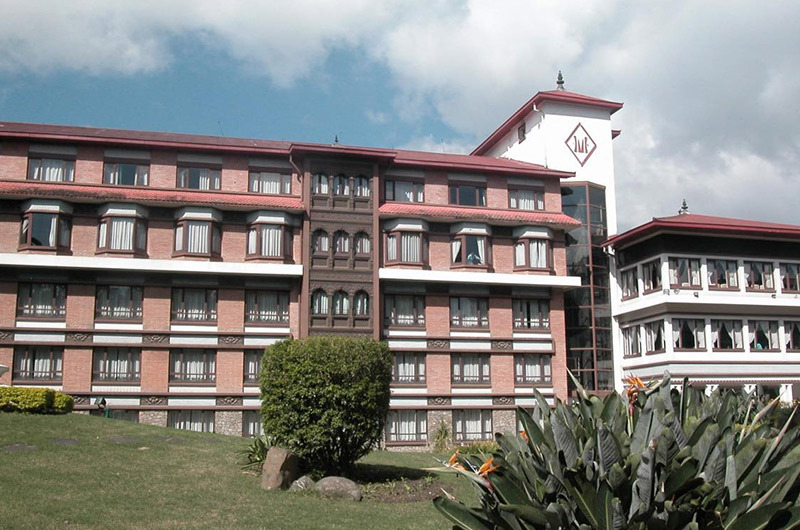 Royal Singi Hotel delivers unparalleled nepalese hospitality and serene comfort in Kathmandu. Located in the diplomatic enclave of Kathmandu, the hotel is within walking distance of all major embassies, tourist areas, restaurants, and shopping centers. Established in 1980, Tibet Guest House has all the facilities and comfort to meet expectations of discerning traveler. Located in the heart of the city, it is just a 15-min drive from the tribhuvan international Airport, and within walking distance of major tourist sites. Amar Hotel is a modern three-storied building with a touch of traditional interiors that is favorably situated in heart of the city in the open green suburbs of tahachal. Hotel Family Home, located in the heart of Thamel, offers well furnished rooms with attached bathroom and most modern amenities. It is a small personalized property with 22 well-appointed rooms and a multi-cuisine restaurant to delight your palate. it offers 12 tastefully furnished rooms equipped with all modern facilities to make your stay comfortable when in Kathmandu. It is the perfect blend..
Kathmandu Eco Hotel is a 2-minute walk from the thamel tourist market. its atmosphere has been designed to make you feel calm and energized. Featured in TIME (Liam McMillan, Dec 10, 2001) as a “Hot Spot” of the world, it has earned local and international accolades since its inception in 1996. Enjoy the unforgettable historical values of newari culture at this charming resort on top of the Kirtipur hill. It offers 20 cozy rooms, including 12 double..